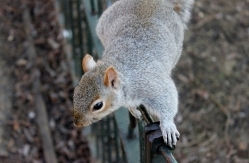 The grey squirrel has increasingly, over the years, become a major pest problem in residential areas throughout the UK. Here at Pulse Pest Control we have many years of experience dealing with numerous grey squirrels in order to offer our customers the finest pest removal services in the industry. Squirrels are commonly found in loft areas of homes and unused areas of commercial properties. This is due to the materials that can be found, the easy access and the somewhat privacy they get in the rarely disturbed areas. Although for some time they can go unnoticed you will soon know of their existence when they are scurrying around above your bedroom. They can then begin to chew through your wires, leave droppings and cause significant damage at your property that only ever results in further costs. Not only do squirrels leave their droppings everywhere but they are also avid carriers of fleas and mites. This can be easily seen on the fur and leave trails wherever they travel through your loft or property. If the squirrels travel, then so do the fleas and then you can have a whole other pest problem on your hands if not dealt with right away. 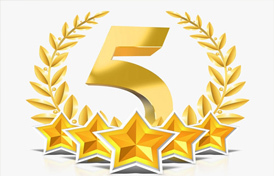 That’s why here at Pulse Pest Control we are a fast action company that offers all customers FREE surveys to remove your pests rapidly, effectively and efficiently. If you are having problems with squirrels invading your property get in touch with us on 01158 229 483 for Nottingham or 01332 410 042 for Derby areas. Whether you need advice about the infestations or are looking to remove them as soon as possible we are always on hand to help eradicate your pest problem.